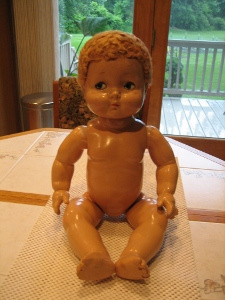 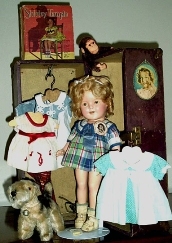 Composition dolls overtook the market for bisque dolls in the early 20th Century. 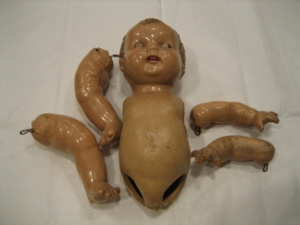 Hailed by American dollmaking companies as unbreakable compared to bisque (also often called porcelain) dolls, the novelty of the new material for doll heads, coupled with World War I, helped to bring down the once mighty German dollmaking industry, and helped to make America the premier dollmaking country of the early to mid 20th Century. 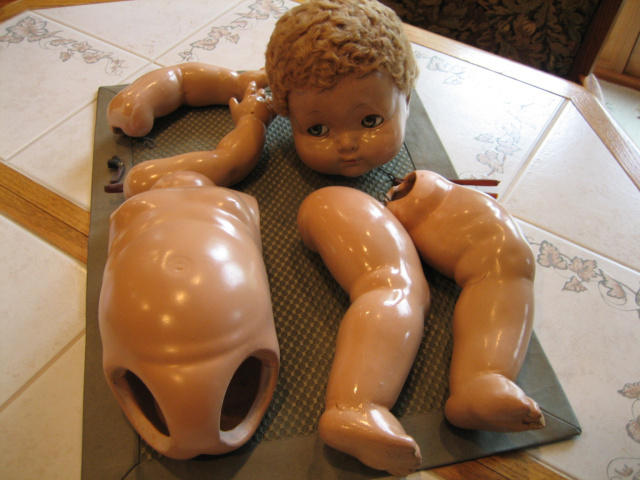 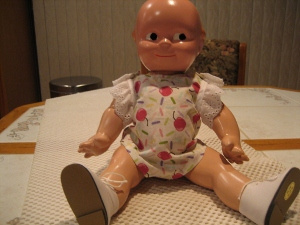 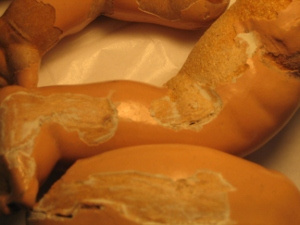 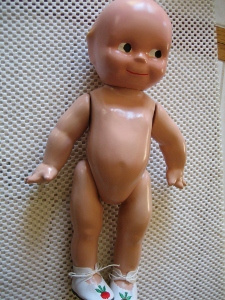 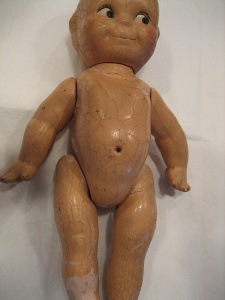 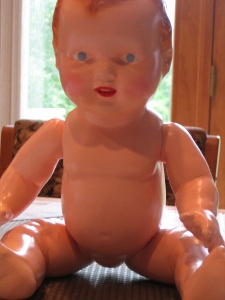 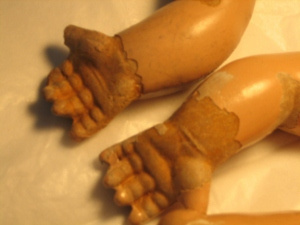 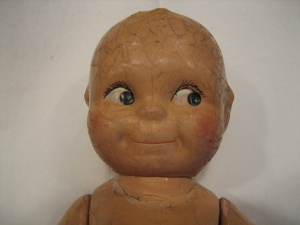 The doll itself before repair. 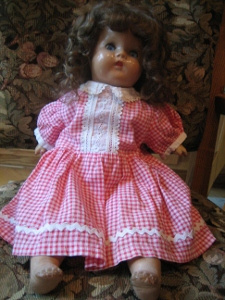 The finished repair and doll! 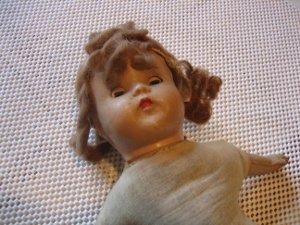 Needs cleaning and a new "do" All dressed up with a new "do".